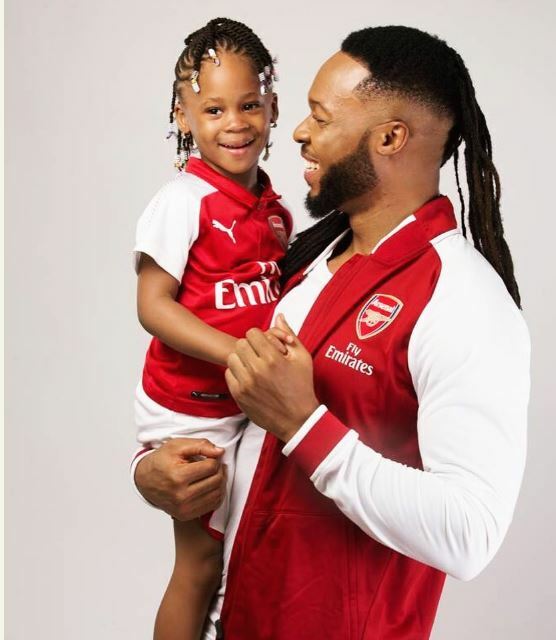 Nigerian singer, Flavour was spotted earlier today wearing matching cloths with his daughters while fulfilling daddy responsibility. 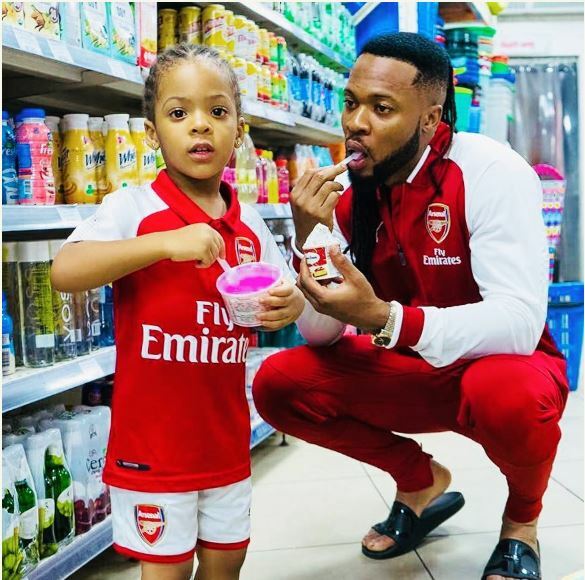 The father of two & his daughters wore an arsenal jersey while they went ice cream shopping, the daughter he had with Sandra Okagbue was named Gabrielle & the 2nd one with Ex-beauty queen & actress Anna Ebiere Banner was named Sophia. 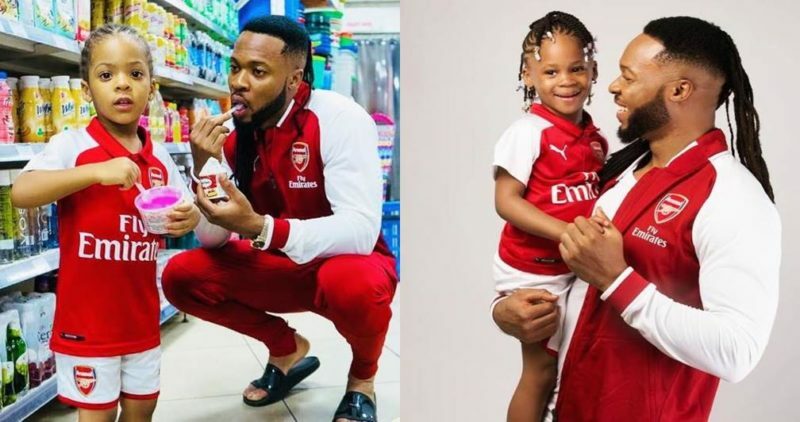 The singer had shared a photo disturbing his fans with a obscene picture but they would have none of it.